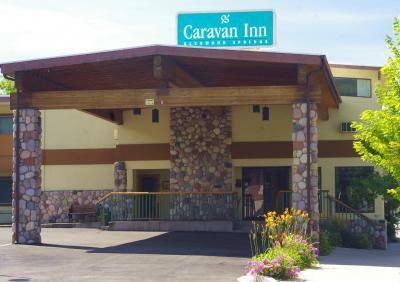 Lock in a great price for Caravan Inn – rated 8.3 by recent guests! The size of the room was nice and spacious. The room was clean. The staff was very nice. I was able to book a room last minute on booking.com. 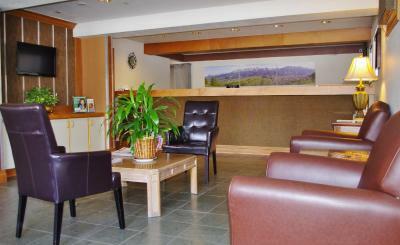 From the check in process to check out the staff was very friendly and always making sure you felt at home. I liked the location of this hotel! It’s only a couple of minutes away from the hot springs. 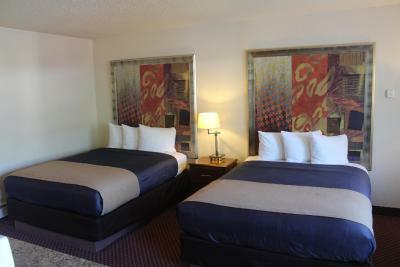 The rooms were clean and the staff friendly. The shower had a lot of pressure! The location (you can walk to grocery stores, restaurants, etc). I saw different comments about the breakfast and you have to keep in mind it's a continental breakfast! They had boiled eggs, patties, croissants, muffins, bread and cereal. Very clean and updated. Parking was simple. Breakfast was yummy. Great owner! Super friendly and kind. We will be back for sure with all my littles. The breakfast was good and I like the soft blue blanket they give you in the room. The staff was nice and welcoming. The location was good. 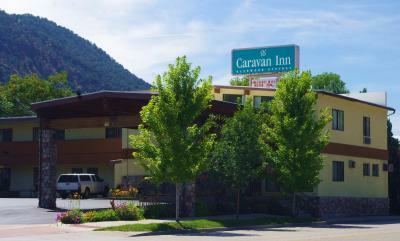 Caravan Inn This rating is a reflection of how the property compares to the industry standard when it comes to price, facilities and services available. It's based on a self-evaluation by the property. Use this rating to help choose your stay! 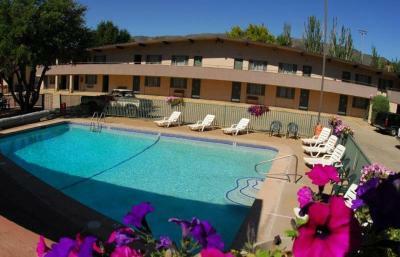 Offering a seasonal outdoor pool, this motel is 5 minutes’ walk from Valley View Hospital. 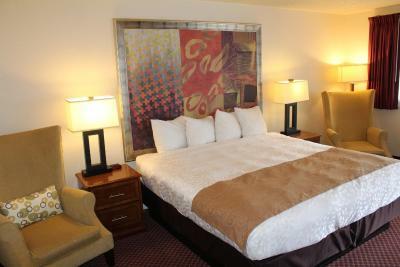 Free Wi-Fi is featured in each guest room. A hot breakfast is served daily. 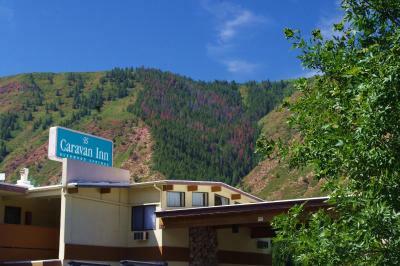 All air-conditioned rooms include a cable TV with satellite channels, a seating area and a small refrigerator at Caravan Inn Glenwood Springs. 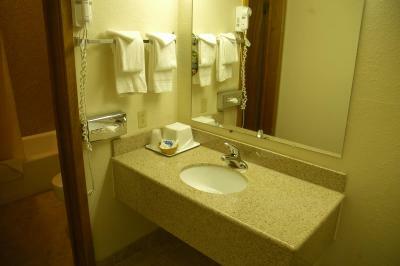 An private bathroom equipped a hairdryer is also included. 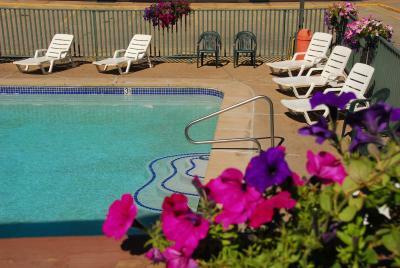 Guests can relax in the year round hot tub at Glenwood Springs Caravan Inn. Fax and photocopying services and laundry facilities are available on site. 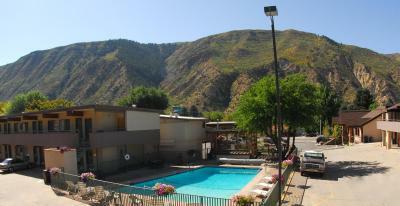 Glenwood Caverns Adventure Park is 10 minutes’ drive from Caravan Inn Glenwood Springs. 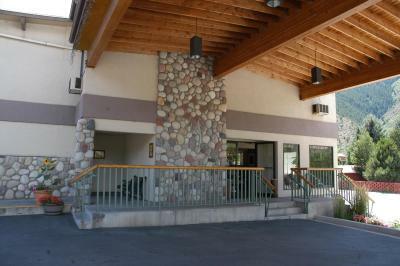 Glenwood Springs town center is 1 miles from the motel. 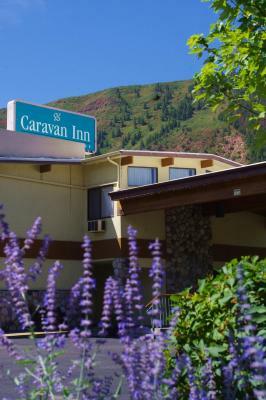 When would you like to stay at Caravan Inn? 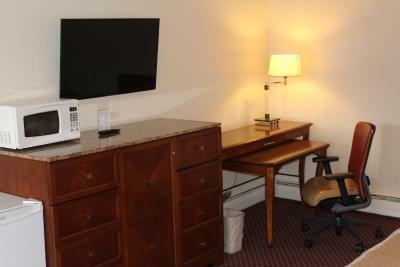 This air-conditioned room features free Wi-Fi, a seating area, a cable TV with satellite channels and a small refrigerator. 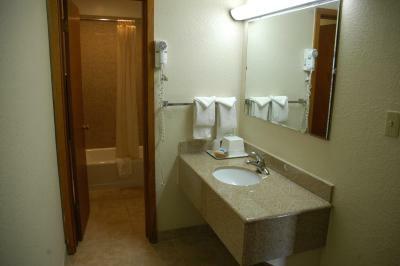 An private bathroom with a hairdryer is also included. House Rules Caravan Inn takes special requests – add in the next step! Caravan Inn accepts these cards and reserves the right to temporarily hold an amount prior to arrival. Beds were a little firm but a good place to sleep. Also the AC unit was SUPER loud. The staff was SUPER friendly and super nice. Had roughly 30-40 ants come out of the tub faucet when turning on the water. Price was excellent. Breakfast was good. The breakfast was pretty minimal. Would be nice to have more variety, options other than sweet carbs. The shower stream from the shower head was pretty hard. The hotel (facilities and rooms) are very outdated. We could hear everything from other rooms. I didn’t care for the breakfast but it wasn’t bad all in all. There was a burn in the bed sheet I don't think that you should keep using things that been damaged like that. Looks dirty! Can u skydive! I didn't like how you had to pay for whole stay when you arrive. I got an opportunity to stay with a friend for part of the time, but paid for 10 days anyway. It's an older place, where you can get in and out of room without going through lobby. The bed was very comfy and good down pillows. Quiet. Good shower head! Has the fridge and microwave. No shower cap though. Hair dryer ok. Very clean! And baseboard heating which is the best. I will stay there again.